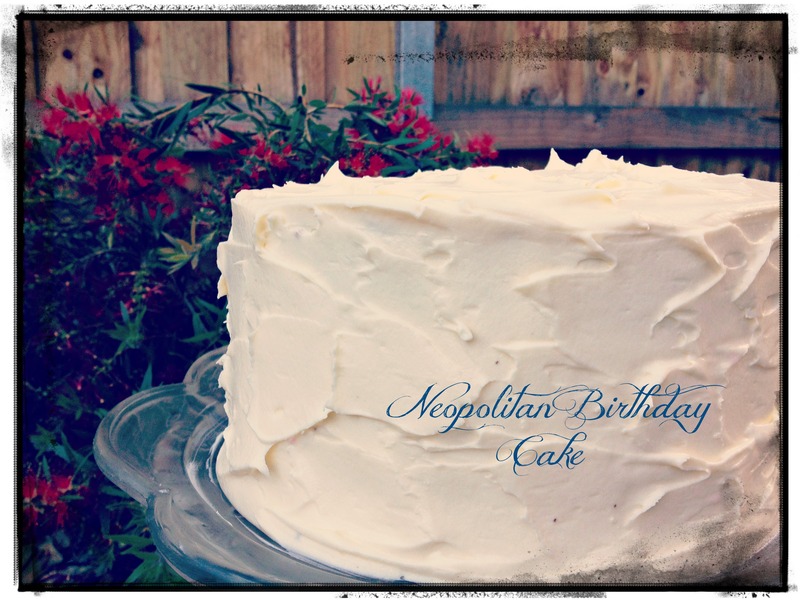 Neapolitan Cake & My 100th Post! I’ve always wanted to be consistent and persistent. I hear they are wonderful qualities. Unfortunately they have never been qualities used to describe me! And it’s all thanks to this blog. I guess when you find something you enjoy, you want to keep doing it. I’m learning to not question (too much) why I enjoy doing this?! To not try to dissect and understand it. To just accept that it makes me happy. I made this cake for my son’s 5th birthday. The recipe is from Heather Baird’s SprinkleBakes book. It’s such a great party cake! It occurred to me it was also the perfect cake to celebrate my 100th post! And my venture into the crazy new world of consistency and persistence! Tags: baking, cakes, cooking, food, life, life lessons, meaning, my life, purpose, thoughts | Permalink. Congratulations! And the cake looks wonderful. I bet that smile made it worthwhile!!! Woot! Congratulations. That cake is a perfect way to celebrate a birthday or a milestone. and what a beautiful looking cake! Very fun cake and layers! Congratulations on your 100th! I NEED that cookbook – there are so many good ones out right now! I just got Bouchon Bakery last night and I am in love. The cake looks beautiful and congrats on your 100th post! I just got the Bouchon Bakery cookbook too! The photos are amazing! I want to dive in and eat all the bread! 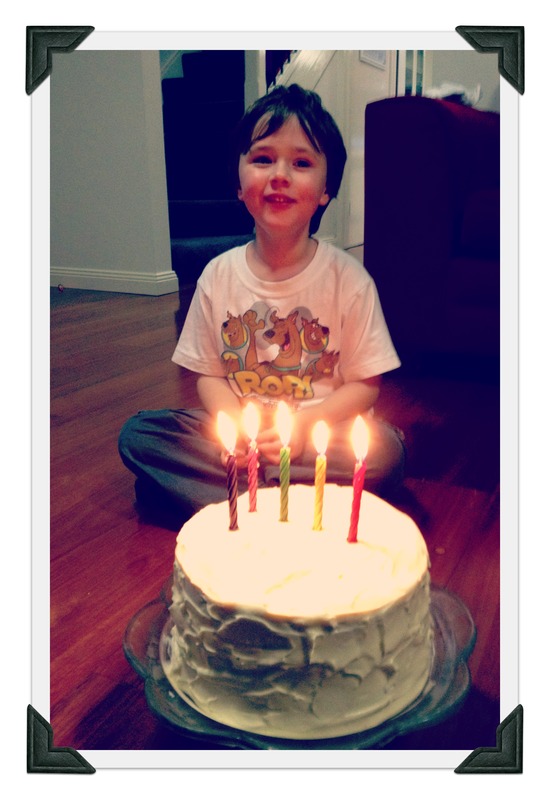 Bon Anniversaire to that cute guy who looks VERY happy with the cake his Mom just made. And, congratulations for your 100th Post. Yes, I have learned that one must be very dedicated to be a food blogger. I love it but it definitely controls my week, so to speak. In a good way. I enjoy your Posts. They are fun and refreshing. And, your cake looks fabulous. I like neopolitan anything. Double celebration! Happy birthday to your son and happy #100 to your blog!! This cake looks incredible! I think my family would love it (I know I would!!!). Congrats on your 100th post! And this gorgeous cake is the perfect way to celebrate. Congratulations on your 100th post, Sanya! And what a great looking cake for your son’s birthday!